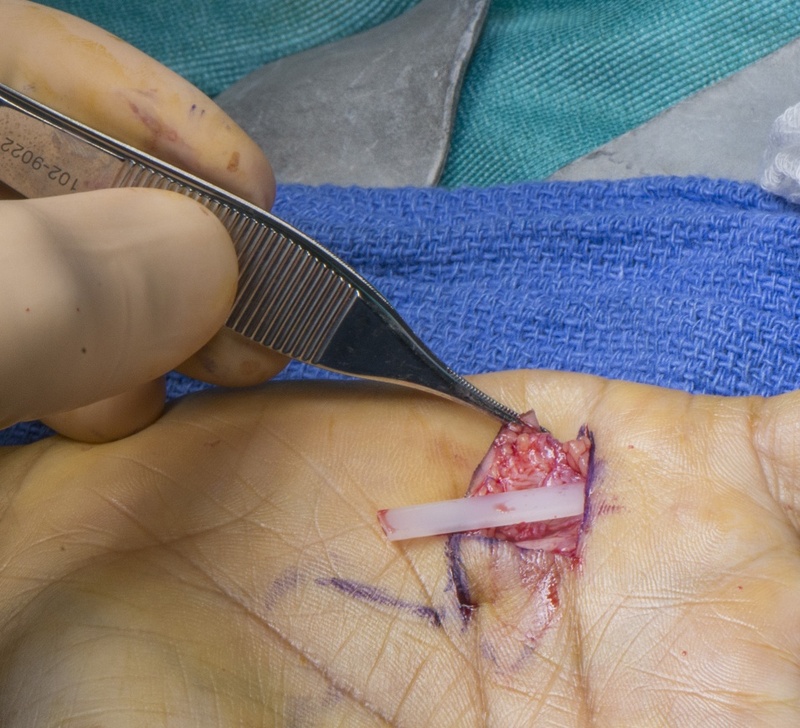 Learn the Flexor tendon reconstruction-2nd stage. surgical technique with step by step instructions on OrthOracle. Our e-learning platform contains high resolution images and a certified CME of the Flexor tendon reconstruction-2nd stage. surgical procedure. Here we demonstrate the second stage of a two stage flexor tendon reconstruction. The first stage is available as a separate section in Orthoracle and is intended to be read before this section as some key concepts are covered there. In summary the second stage involves replacing the passive silicone tendon implants with tendon autograft.